From Take Action 2018, a grassroots coalition including Indivisible OC 48 and Together We Will Orange County. You can access their Facebook Event page here. Now that you’re well-fed and rested, it’s time to get fired up and get to work. Together, let’s Take Action in 2018! And change the world. For real! Sign up to volunteer with the grassroots coalition Take Action 2018! There isn’t a moment to waste. OC needs you to turn the tide and take back Congress. As a token of our appreciation volunteers will be given a free T-shirt (while supplies last) and a free lunch. 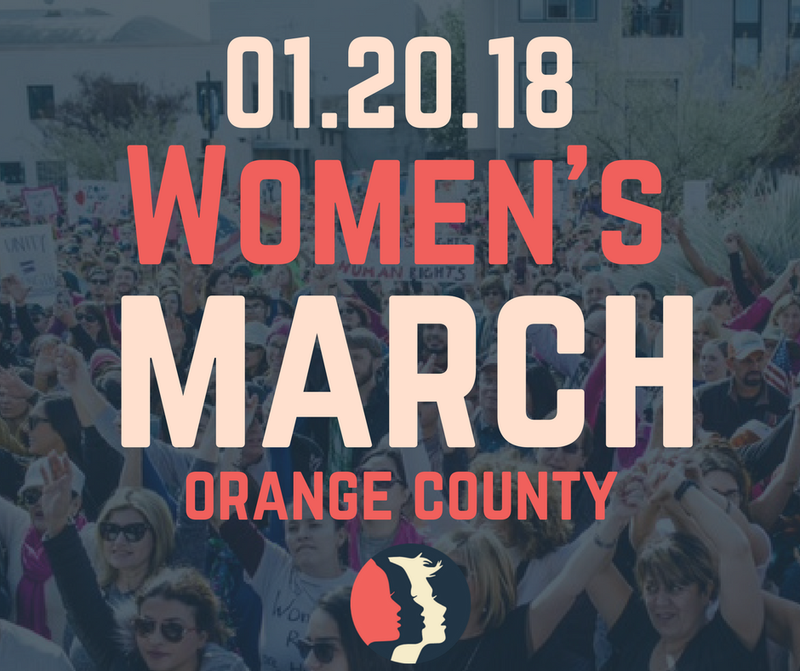 Be part of the second annual OC Women’s March happening on January 20, 2018! Become involved! Remember, the Rise of the Women = the Rise of the Nation! ← TrumpCare is Back. Here’s What You Can Do.